Bridal Cave's wedding bell recently went through a time consuming restoration process. It is now back at home at our Lake of the Ozarks scenic attraction and better than ever. From it's creation to today, this bell has had an interesting life. 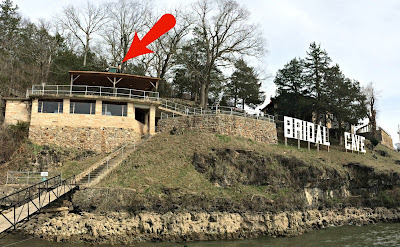 With the amazing Thunder Mountain Park renovations that are taking place for spring 2016, the decision was made to relocate our wedding bell to the top of the pavilion that overlooks the beautiful Lake of the Ozarks from its spot on the hillside above the cave. Since it was already being moved, this seemed like the perfect time to have the bell restored to its original condition. 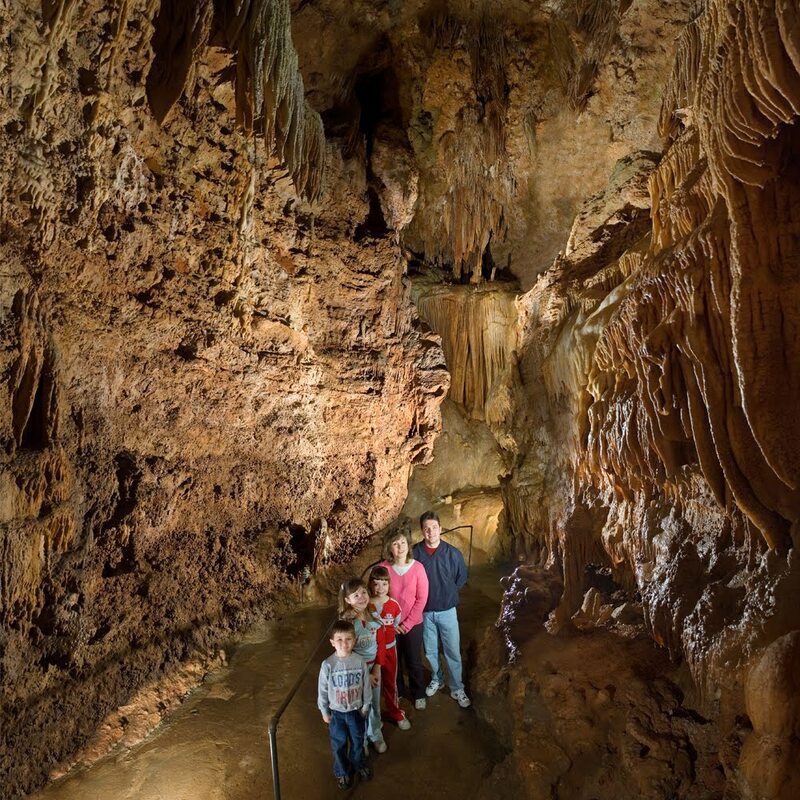 Here at Bridal Cave & Thunder Mountain Park there is always something new to see and learn, even for us! We had our wedding bell refurbished recently and found out that is was one of the very first bells ever made by the C.S. Bell Company in 1875. 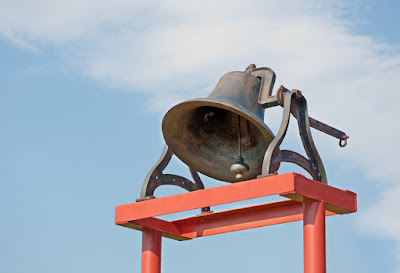 Next week we'll tell you all about the story of our Lake of the Ozarks wedding chapel's bell, but today we would love to share some interesting information about the company that created it. The C.S. Bell Company was founded by Charles Singleton Bell. He learned the foundry business from his uncle, Alexander Bradley. After working in a few different foundries, Bell began his own company in Hillsboro, Ohio in 1858. This new company had only 2 employees. It started out producing tons of pig iron, and later began manufacturing many different items: Mogul stoves, caboose stoves, coffee hullers and pulpers, plows and garden rollers, and more. They did not start producing bells until 1875. Enjoy Your Spring Break at the Lake of the Ozarks! Why travel a long distance for Spring Break when the #1 recreational lake in the nation is right here next to Bridal Cave? The lake area is beautiful year-round, but witnessing it in the spring allows you to watch a bright new season "spring" to life. 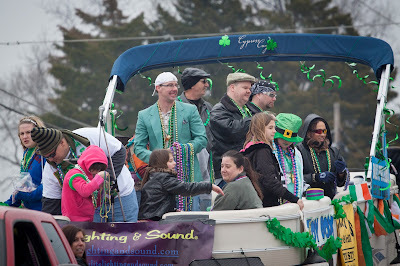 Right around St. Patrick's Day every year, the Lake of the Ozarks begins waking up for another exciting season on the water. You begin seeing boats again all over the lake and many of the local waterfront bars and restaurants open their doors. It's an exciting time to experience everything that this gorgeous area has to offer. The best natural attraction at the Lake of the Ozarks will be even more beautiful than usual this spring. 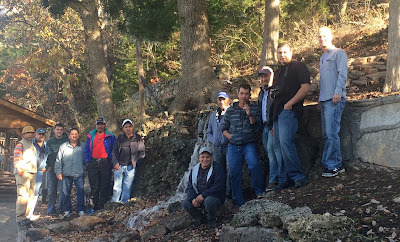 Numerous new landscaping improvements are coming to Thunder Mountain Park, and we are especially thrilled to announce that very soon we will be unveiling two brand new additions - a Botanical Garden and a waterfall. Under the direction of Doctor's Lawn and Landscaping from Sunrise Beach, these breathtaking new features are becoming a reality. Their grounds crew completed the ground preparation work last fall, and this spring they will bring in black dirt, install the irrigation system, and spread mulch. As soon as that is finished, they will be ready to begin the planting stage.